Has it been a long time now since the last time you had the windows in your home replaced? If so, you should consider replacing your home’s windows before the winter rolls around this year. Let’s take a look at some of the benefits of doing so. Replacing your windows will make your home more energy efficient. New windows will instantly make your home more energy efficient. The warm air inside your home that is created by your heating system won’t able to escape through new windows. Additionally, air from outside your home won’t be able to work its way in. This will prevent your HVAC system from having to work overtime to heat your home this winter. It’ll save you quite a bit of money on your energy bills. It’ll keep your home more comfortable. Outside of making your home more energy efficient this winter, new windows will also make it more comfortable. When you have warm air that’s constantly leaving your home through old windows and cold air coming in to take its place, it can make your home cooler than it should be in the winter. With new windows in place, your home will be more comfortable than it’s been in years. It’ll prevent you from being forced to replace your windows in the dead of winter. If your windows are on their last legs, you might be forced to replace them at some point in the middle of the winter. This can really wreak havoc on your home since a lot of cold air will be allowed into your home during window installation. 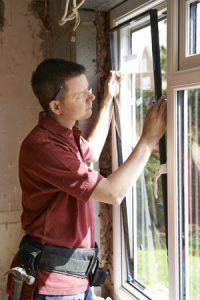 A reputable window company will be able to get the job done, but they won’t be able to stop the job from taking a toll on the temperature of your home. It’s why it’s best to have new window installation done before the winter starts. Would you like to install new windows in your home prior to the beginning of the winter season? Roofing by Bruce can tell you all about your new window options. Call us at 570-424-8891 today to get started.